Use your shipping label paper to print your silhouette of choice. I know, I'm on a deer kick right now. 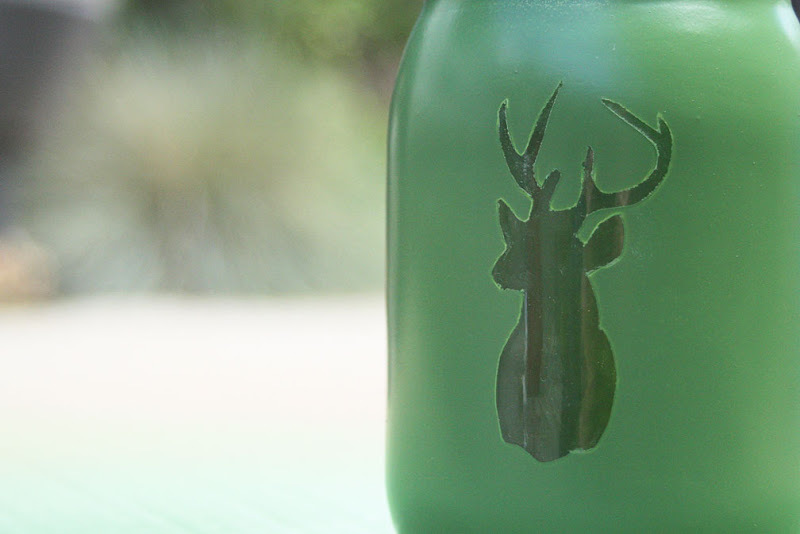 Cut out your silhouette and stick it to the jar. 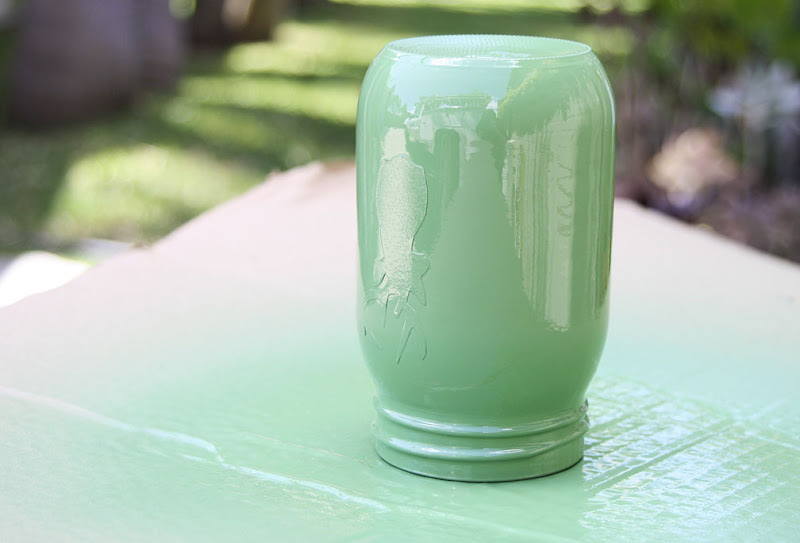 Spray paint your jars. 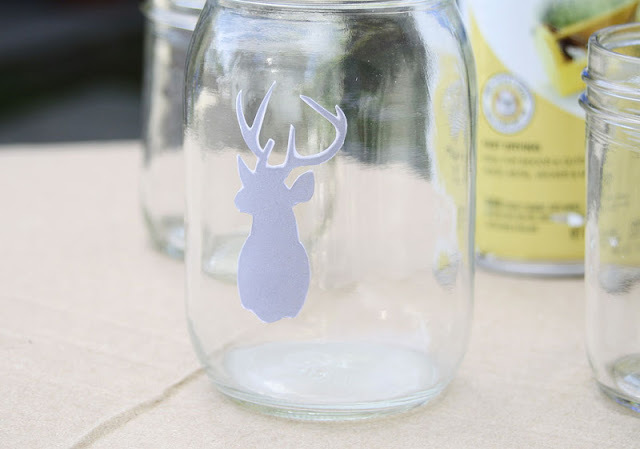 If your jars do not have a silhouette sticker, you can paint both the inside and the outside. 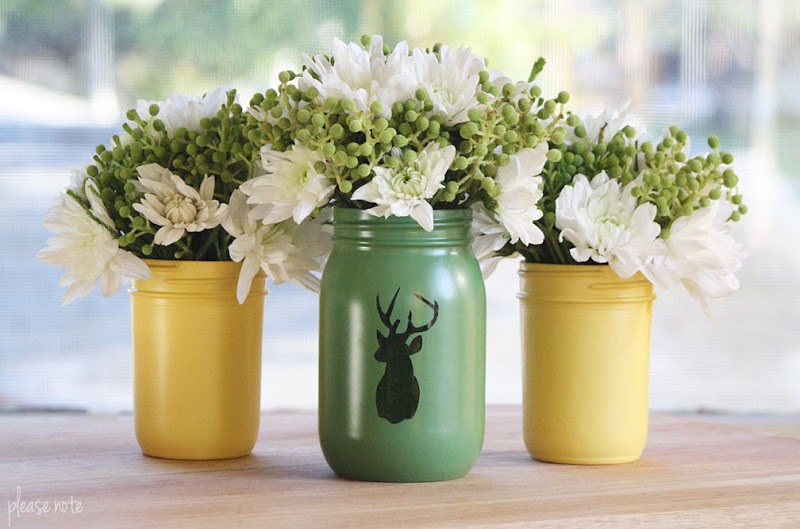 If your jars do have a silhouette sticker, flip them over and only paint the outside. 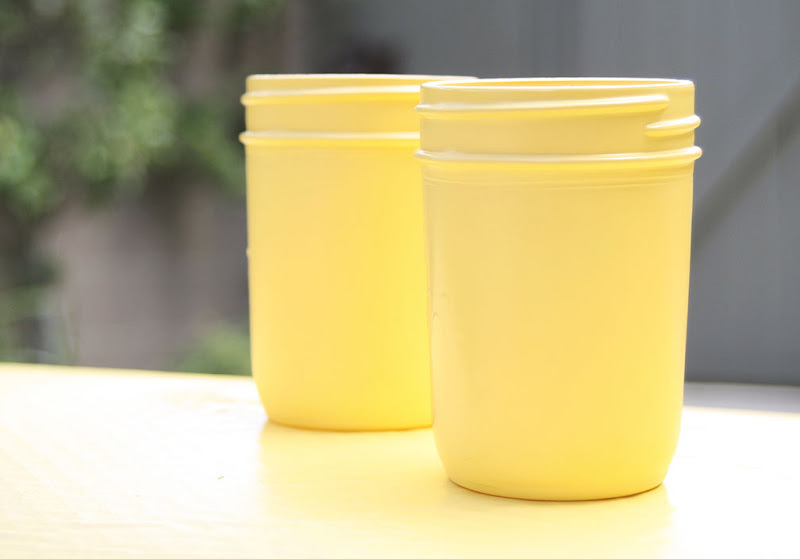 Once your jars are completely dry, remove the sticker. Add some fresh flowers and you're all set! Thanks, Carly! I don't know what I would do without spray paint, haha. What a great idea ... thanks for sharing! So cool for all those spare jars under the sink. I love this! I did one in pink intending to stencil on a white bunny but never got around to it. I like the idea of putting the silhouette on first then spray painting. Must make another! Love it. Ive seen this with other shapes and its always so perfect. Thanks for the reminder. Thanks, Julia! So many cute ideas! Love the jars.....I would like to know if you used a particular type of spray paint. I just used whatever I had on hand but they might make spray paint particularly for glass. Thanks for stopping by the blog! loving it! would love to know the names of the spray paint colours you used. where do u find the shipping labels? They sell them at Target or any office supply store. Absolutely a great idea! I think I`ll do one for Mothers day and give it to my mom. She`ll love it! I love them, and how correct a gift you would want and the person receiving the gift well something about a person putting thought a personal or personality into a gift my fsv. I tried something similar and I cut out the deer from normal printer paper. Now the issue was the tape because it was so fine it was hard to get it to tape without the square ruining the deer stencil. 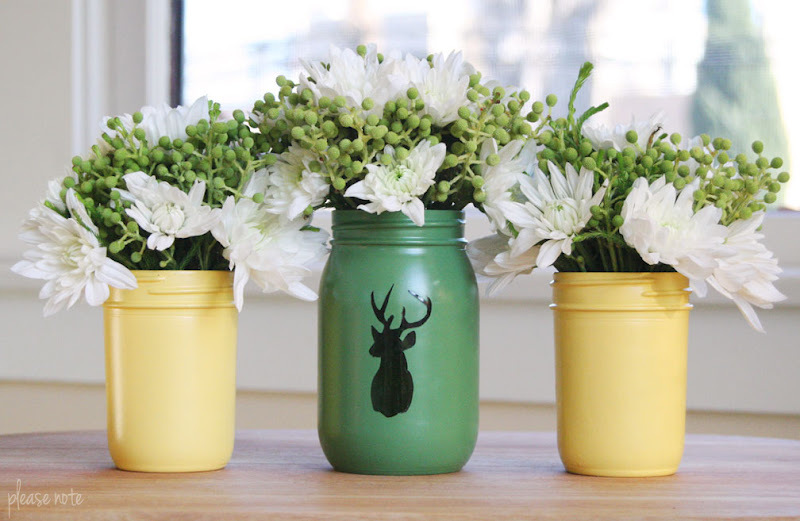 How did you stick your stencil to the jar? I printed the deer on blank shipping labels which are basically stickers and then cut it out. I did not use regular printer paper. So I luv this so MUCH!! Only warning is I thinking I huffed the fumes on accident & felt like I went to the land of Oz! But all turnded out cuz when I was aware/back I looked at my work & they turnded out better than I think! Advice, wear a mask! Or invest in some Ruby slippers! Thanks in u for the idea! Funtastic!